The Moon Phase Calendar 2018 shows the moon's phase for every day of the year. 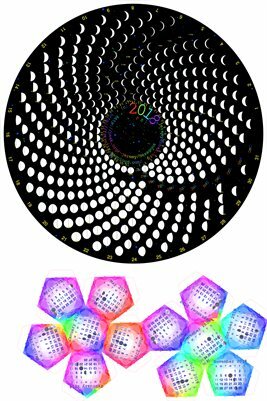 Time of day is shown for new & full moons and first & last quarters. Times are shown in the PST time zone.